a b s t r a c t The topsoil of clayey slope is easy to erosion because it is weak in its strength, water stability and erosion resistance. A new organic polymer soil stabilizer, which was developed for the stabilization treatment of clay slope topsoil and was named as STW, was introduced in this study. In order to understand the effect of STW on the stabilization of clayey soil, laboratory tests on the unconﬁned compressive strength, shear strength, water stability and erosion resistance of untreated and treated soil specimens are performed, The results indicated that STW soil stabilizer can signiﬁcantly increased the unconﬁned compression strength, shear strength, water stability and erosion resistance of clayey soil. The unconﬁned compression strength increased with the increasing of curing time and the variation mainly occurs in the ﬁrst 24-hour. With the addition amounts of STW increasing, the strength, water stability and erosion resistance increased at the curing time being 48 h, but in the case of friction angle, no major change was observed. Based on the scanning electron microscopy (SEM) analysis of the stabilized soil, the stabilization mechanisms of STW soil stabilizer in the clayey soil were discussed. Finally, a ﬁeld test of the stabilization treatment of clay slope topsoil with STW was carried out, and the results indicated that the STW soil stabilizer on the stabilization treatment of clay slope topsoil is effective for improving the erosion resistance of slope topsoil, reducing the soil loss and protecting the vegetation growth. Therefore, this technique is worth popularizing for the topsoil protection of clay slope. © 2010 Elsevier B.V. All rights reserved. 1. Introduction Clay slope is extensively distributed in the east part of China. During rainfall, slope surface is to suffer from soil erosion, because the topsoil is weak in its water stability, strength and erosion resistance. This often damages the plant growths of slope surface and inﬂuence the stability of slope on the side of railway, highway and other engineering structures. Some physical methods were used to protect slope surface, such as geotextiles, wire mesh, cable net and other membrane structures (Smoltczyk and Malcharek, 1985; Barker, 1988; Agassi and Ben, 1992; Liu and Li, 2003; Lekha, 2004; Shu et al., 2005). As well known, these methods are based on utilizing enforcing structures, on the other hand, it does not modify the soil property. Recently, a new method of chemical stabilization of the soil with soil stabilizer (stabilizing agent) has been developed to control the soil erosion by modifying the properties of the soil itself (Ajayi et al., 1991; William and Robert, 2000). mechanisms of STW modiﬁcation of the soil were discussed. Finally, a ﬁeld test of the topsoil stabilization treatment of clay slope with STW was carried out. Fig. 1. STW soil stabilizer. Fig. 2. Simulation equipment of erosion test. Fig. 3. Variation of unconﬁned compressive strength of samples with curing time. Fig. 4. Relative increment of unconﬁned compressive strength. Fig. 6. Effect of soil stabilizer concentration on cohesion of samples of stabilized soil. Fig. 5. The typical axial stress–strain curves in unconﬁned compressive tests. Fig. 7. Variation of internal friction angle of samples. Fig. 8. Effect of soil stabilizer concentration on water stability of stabilized soil. Fig. 9. Effect of soil stabilizer concentration on erosion resistance of stabilized soil. Fig. 10. SEM image of soil void ﬁlled by STW with 3000 time magniﬁcation. Fig. 11. SEM image of interaction of soil and STW with 1000 time magniﬁcation. Fig. 12. Weather condition after spraying. In order to evaluate the effects of STW on the stabilization treatment of clay slope topsoil, a ﬁeld test was carried out. The ﬁeld clay slope is located in a highway, Jiangsu, China. This slope has a slope angle of 35°. The erosion of the slope surface was very serious. Although seeds of grasses had been sprayed on the surface of the slope after the construction of the slope, they were washed away before germinating. In this test, considering the effect and cost, the optimum spraying concentration and content of STW soil stabilizer were 20%, 3 L/m2, respectively. Three types of seeds, i.e. bahia, bermuda and white clover, were selected. Fig. 13. Field test results (a) stabilized with STW (b) Stabilized without STW. The implementing procedures were as follows. (i) the slope surface was leveled off and the seeds were sowed on the surface; (ii) the dilution concentration 20% of STW was made and sprayed on the slope surface; (iii) spray water on slope once every two days and take the comprehensive evaluation. The results of comprehensive evaluation show that STW soil stabilizers are effective for improving the erosion resistance of the slope topsoil, reducing the soil loss and protecting the vegetation growth. The weather condition in the coming 10 months after spraying is presented in Fig. 12. As shown, the rainfall larger than 100 mm/day occurred 16 times during this period. The comparison of ﬁeld test results after 10 months were presented in Fig. 13. It is showed from Fig. 13a that the slope surface treated by STW had been lightly eroded, and the vegetation is well-growth, whereas, Fig. 13b shows that the untreated part had severer soil erosion with little vegetation. Therefore, it is concluded that the stabilization treatment of clay slope topsoil with STW soil stabilizers is an effective technology to reduce the soil erosion, improve the slope surface water ability and protect the vegetation growth. 6. Conclusions Based on the laboratory and ﬁeld tests, the effects of an organic polymer soil stabilizer (STW) on stabilization treatment of clay slope topsoil have been examined. It is shown from the laboratory test results that the addition amount of STW causes the beneﬁcial changes in the unconﬁned compressive strength, shear strength, water stability and erosion resistance of clayey soil used in this study. Field test results indicate that the stabilized topsoil has higher erosion resistance. It can satisfy the requirements of clay slope surface stabilization treatment. It is observed from lab testing that the properties of stabilized soil vary and depend on STW concentration, and also on the curing time. The unconﬁned compressive strength increases with increase of the curing time and the increase mainly accrues in the ﬁrst 24-h. The unconﬁned compressive strength and cohesion also increase with the increase of STW concentration in the curing condition, but the variation of friction angles is little. The water stability and erosion resistance are improved greatly and increase with STW concentration. SEM images indicate that STW has an interaction between soil stabilizer and soil. These interactions greatly change the soil fabric and thereby result in the variation of strength, water stability and erosion resistance of clayey soil. The ﬁeld test shows that STW on the stabilization treatment of clay slope topsoil is effective for improving the erosion resistance of the slope topsoil, reducing the soil loss and protecting the vegetation growth. Trough this investigation, it is clearly indicated that STW as a new type of organic polymer Soil Stabilizer is useful for ecological stabilizing the topsoil of clay slope, and the technique is worth popularizing for soil slope surface protection. Acknowledgements This research is ﬁnancially supported by the Natural Science Foundation of China (Grant No. 40672181), the State Key Program of National Natural Science of China (Grant No. 40730739) and the Scientiﬁc Research Foundation of Graduate School of Nanjing University (Grant No. 2009CL10). The authors gratefully acknowledge Dr. Chaosheng Tang and Prof. Baojun Wang in School of Earth Sciences and Engineering, Nanjing University, China, for their contribution to the ﬁeld test. The authors would also like to acknowledge the editors and reviewers of this paper for their very helpful comments and valuable remarks. References Agassi, M., Ben, H.M., 1992. Stabilizing steep slopes with soil conditioners and plants. Soil Technology 5 (3), 249–256. Ajayi, M.A., Grissom, W.A., Smith, L.S., et al., 1991. Epoxy-resin-based chemical stabilization of a ﬁne, poorly graded soil system[R]. Transportation Research Record. National Research Council, Washington D C. Barker, D H., 1988. Geotextiles in Slope Protection and Erosion Control: Civil Engineering, Lond, March, 52–55. Barry, P.P., Stott, D.E., Turco, R.F., 1991. Organic polymers' effect on soil shear strength and detachment by single raindrops ]. Soil Science Society of America Journal 55 (3), 799–804. Bell, F.G., 1995. Cement stabilization and clay soils, with examples. Environmental and Engineering Geoscience 1 (2), 139–151. Cai, Y., Shi, B., Ng, C.W.W., Tang, C., 2006. Effect of polypropylene ﬁbre and lime admixture on engineering properties of clayey soil. Engineering Geology 87, 230–240. Chen, L., Lin, D., 2009. Stabilization treatment of soft subgrade soil by sewage sludge ash and cement. 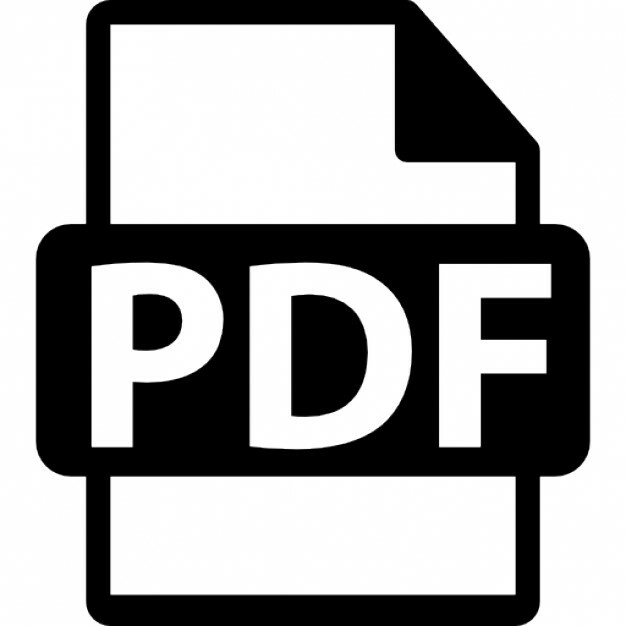 Journal of Hazardous Materials 162, 321–327. Dermatas, D., Meng, X.G., 2003. Utilization of ﬂy ash for stabilization solidiﬁcation of heavy metal contaminated soils. Engineering Geology 70, 377–394. GB/T 50123-1999. Standard for soil test method. Ministry of Construction, P.R. China (in Chinese). Kaчинcкий H. A., 1965. Физикa пoчвы, Изл. Bыcшaя Шкoлa, M. Lekha, K.R., 2004. Field instrumentation and monitoring of soil erosion in coir geotextile stabilized slopes—a case study. Engineering Geology 22, 399–413. Liu, D., Li, Y., 2003. Mechanism of plant roots improving resistance of soil to concentrated ﬂow erosion. Journal of Soil Water Conservation 17 (3), 34–37. Liu, J., Shi, B., Huang, H., Jiang, H., 2009. Improvement of water-stability of clay aggregates admixed with aqueous polymer soil stabilizers. Catena 77, 175–179. Mckinley, J.D., Thomas, H.R., Williams, K.P., Reid, J.M., 2001. Chemical analysis of contaminated soil strengthened by the addition of lime. Engineering Geology 60, 181–192. Nwankow, K.N., 2001. Polyacrylamide as a Soil Stabilizer for Erosion Control. Wisconsin Department of Transportation, Madison. Report. Ouhadi, V.R., Goodarzi, A.R., 2006. Assessment of the stability of a dispersive soil treated by alum. Engineering Geology 85, 91–101. Peter, T.M., Little, D.N., 2002. Review of stabilization of clays and expansive soils in pavements and lightly loaded structures—history, practice, and future. Journal of Materials in Civil Engineering 14 (6), 447–460. Shu, S., Muhunthan, B., Badger, T.C., Grandorff, R., 2005. Load testing of anchors for wire mesh and cable net rockfall slope protection systems. Engineering Geology 79 (3–4), 162–176. Smoltczyk, U., Malcharek, K., 1985. Slope protection by membrane structures. Geotextiles and Geomembranes 2 (4), 323–336. William, J.O., Robert, E.S., Gregory, M.G., 2000. Biopolymer additives to reduce erosioninduced soil losses during irrigation [J]. Industrial Crops and Products 11, 19–29. Zhou, Y., Watts, D., 1999. Current development of Slope Eco engineering principle and application in Europe and America. Journal of Soil Water Conservation 5 (1), 79–83. Zhu, Z., Liu, S., 2008. Utilization of a new soil stabilizer for silt subgrade. Engineering Geology 97, 192–198. Report "Research on the stabilization treatment of clay slope topsoil by organic polymer soil stabilizer"